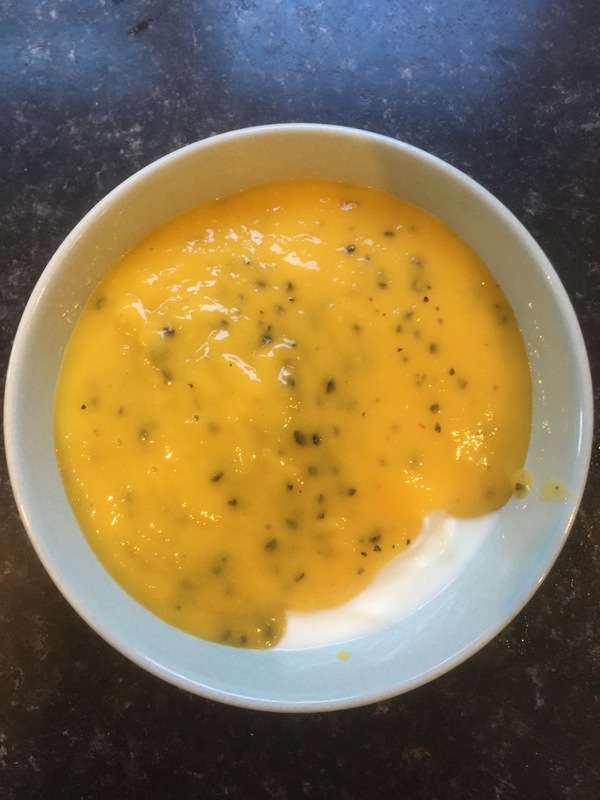 Mango and passion fruit yogurt recipe – healthy yogurt when you’re watching the sugar and fat! On the whole, I’m not a big dairy fan, but I love yogurt – the only problem is that they’re often so full of sugar, rendering them pretty useless from a health point of view. A ripe mango – go for one that is slightly soft to the touch. If it’s hard, it’s not ripe enough yet. 1-2 passion fruit, depending on size. Natural yogurt – made from only milk. No added sugar, no added fruit. Just added bacteria. A food processor. I use this one. It’s bitchin’. Cut the mango from the stone. 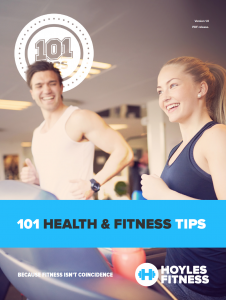 Chop into large chunks. 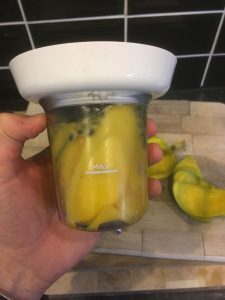 Cut the passion fruit in half and scoop out the seeds. Put both into the food processor and puree. 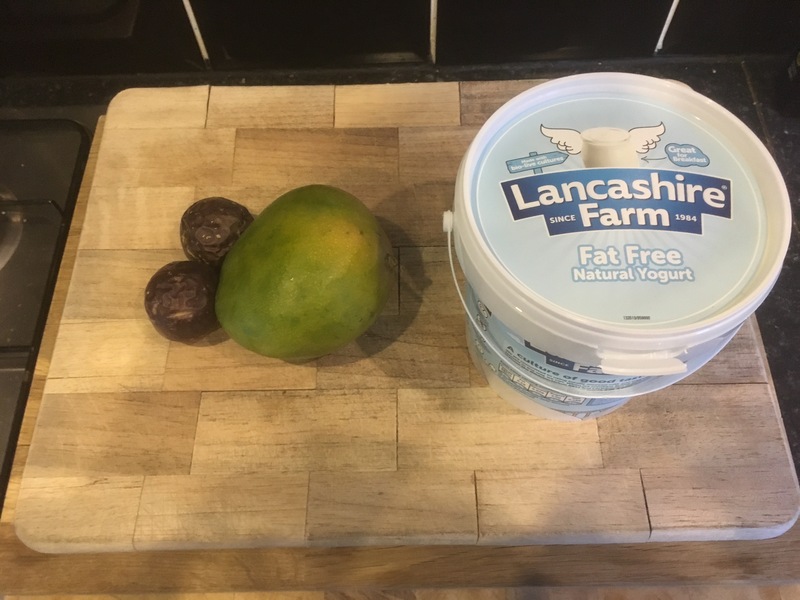 When the fruit is pureed, pour onto the yogurt. This whole mango and passion fruit yogurt takes about 5 minutes, start to finish. It can be eaten as a breakfast or a dessert, so is pretty versatile as well. Finally, and most importantly, it’s a way to eat yogurt and be healthy at the same time. 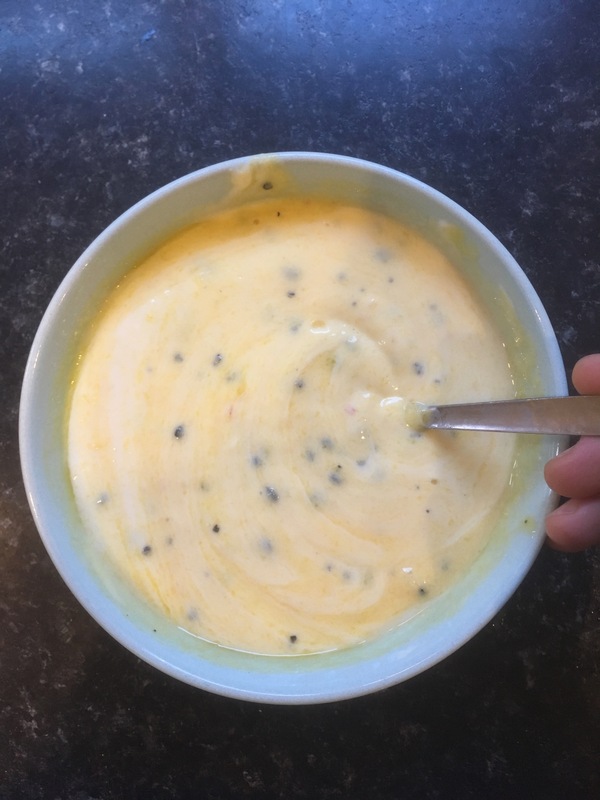 There’s two of your 5 a day in this recipe, it’s quick, satisfies a sweet tooth and can be given to adults or kids alike. In fact, if you’re worried about your kids eating sugary yogurts, this could be a perfect alternative to that. Plus they could get involved with the prep, increasing your chances of actually getting them to eat it! Here’s the blender again – I’ve used mine every week for about 4 years and it’s still going strong!